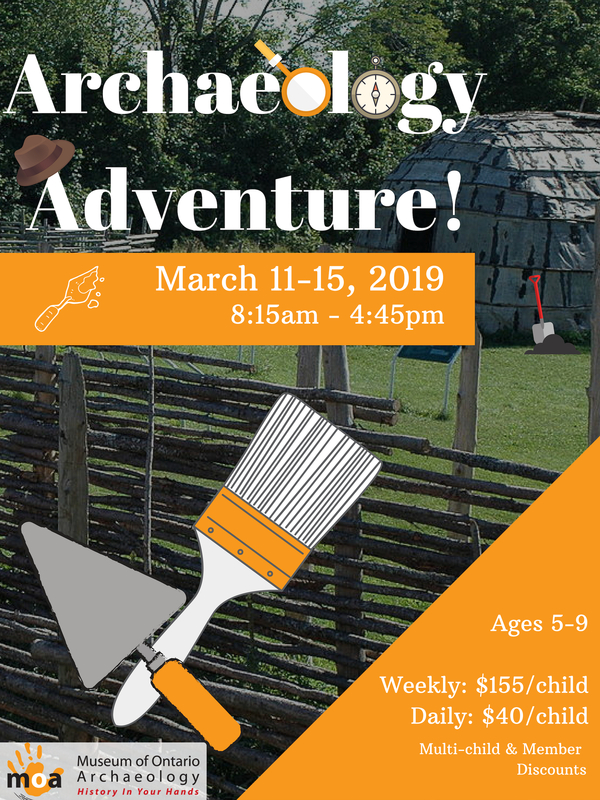 March Break campers will warm up from the cold while learning about the science and adventures of Archaeology! A typical camp day includes warm-up activities, team and friendship building exercises, crafts and games related to the daily theme, two snack breaks and one lunch break, outdoor fun and exploration of the site around the Museum, and a video at the end of the day (while we wait for parents). March Break camp runs March 11 – 15, 2019 from 8:30 am – 4:30 pm. Multi-child discount is available as well as discounts for MOA Family Circle Members! Like our March Break camp? For your Explorers who are looking for summer fun, check out our Summer Camp Program. Already Registered? Here’s what you need to bring to Camp or check out our March Break CAMP HANDBOOK 2019 for more information. Want to earn volunteer hours that could toward your OSSD requirement, or want to help make this March Break special? 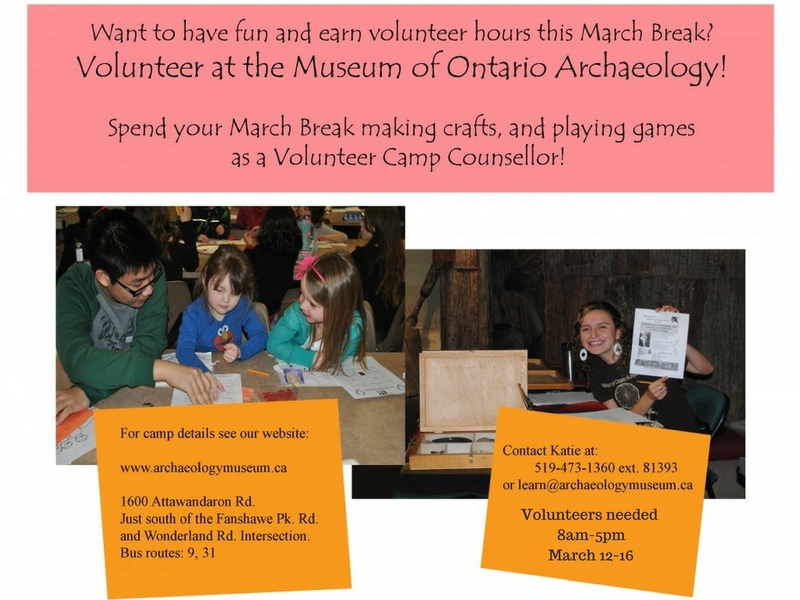 Why not volunteer at the Museum of Ontario Archaeology! What a great way to inspire a love of discovery, adventure, and learning!